Torpedoed and sunk 11 June 1945 by USS Crevalle (SS 291). Propulsion: Three oil-fired single ended boilers, one 2,500shp General Electric steam turbine, one shaft. 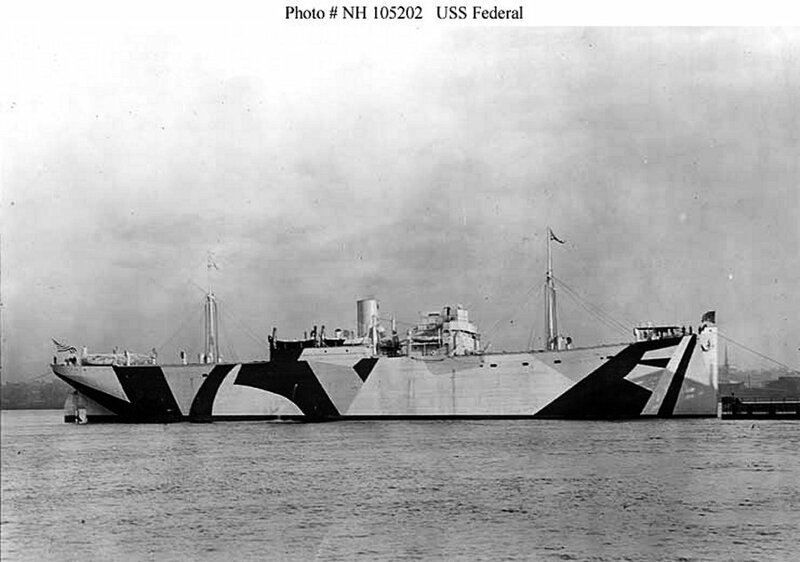 Dictionary of American Naval Fighting Ships: Federal, a cargo ship, was launched in 1918 by Federal Shipbuilding Co., Kearny, N.J.; acquired by the Navy 15 November 1918; and commissioned the following day, Lieutenant Commander A. [Arthur] W. Pratt, USNRF, in command. 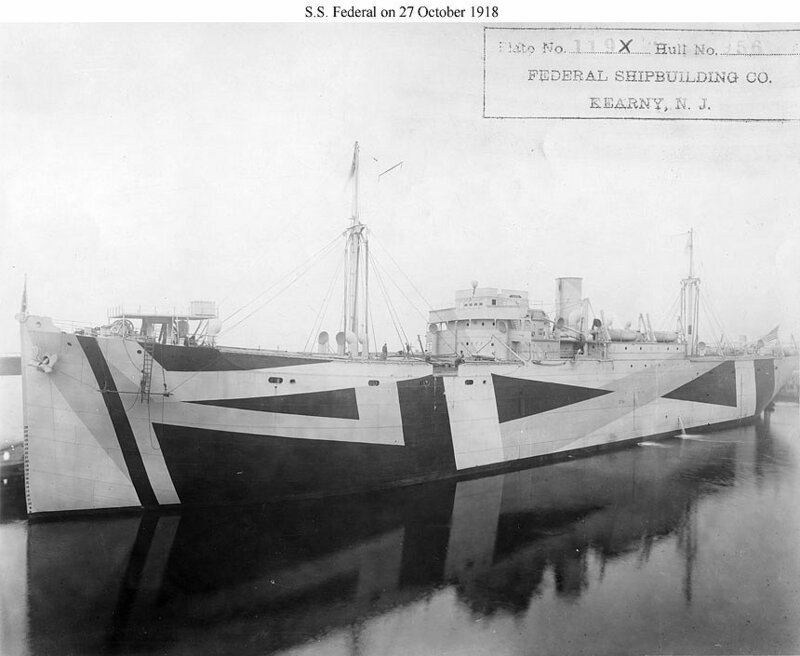 Fitted to carry horses as well as general cargo, Federal transported both on her first voyage to France, 30 November 1918 to 27 January 1919. Her second voyage, 13 March to 30 April, was also with cargo for the Army, and she returned with soldier passengers. Between 8 May and 9 June, she made her last voyage in naval service, carrying hay and oats for relief activities in Europe. 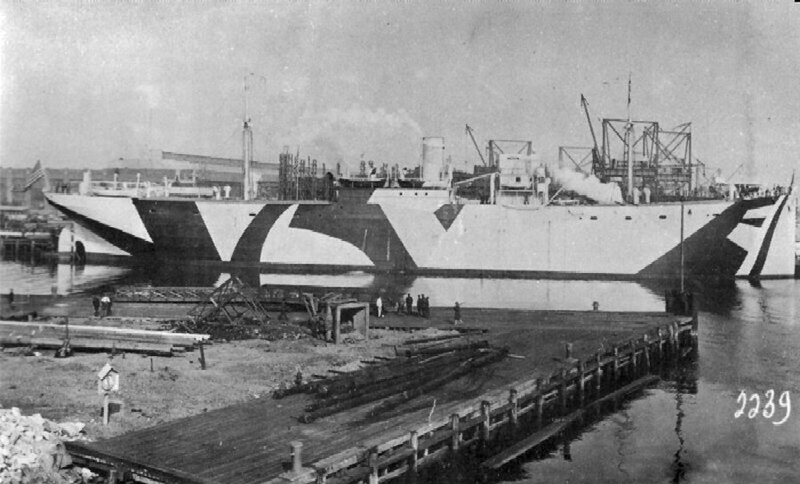 She was decommissioned 17 June 1919 and returned to the Shipping Board.